Organisations that will thrive in the future are those that encourage change and proactively drive change. Therefore the leaders of these organisations need to encourage change behaviour whilst balancing this with leaders that need to weigh up the risks associated with fast paced change. In short leaders need to be Agile. At Getfeedback we support many organisations with recruitment, talent and leadership development. So if you want to identify those leaders who are most likely to work and behave in an Agile way, how can you do this? Track record is important- the skills and experience leaders have will be a core part of the selection and identification process. Personality drives how people prefer to behave and therefore is also a useful predictor of performance as an Agile Leader. 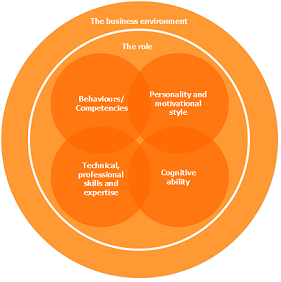 Personality is a key piece in the jigsaw of how likely someone is going to perform as an Agile Leader. We use a variety of on line psychometric tests; SHL OPQ leadership and Kornferry TalentQ Dimensions are some of the most popular products with our clients. OPQ Leadership divides leadership personality and potential into two; those with a managerial focus- transactional leaders, and those with a leadership focus, transformational leaders. Most individuals operate with a blend of both. Transformational leaders succeed by creating a compelling vision that inspires the organization to willingly undertake the difficult journey of organizational change. The strongest transformational leaders chart a course and set a strategic direction that motivates people and mobilizes energy to surmount powerful challenges. Those leaders with a personality preference for working in an agile way would have a higher preference for transformational leadership. How leaders are likely to behave in these two focuses is given in far more detail in the full report. At Getfeedback our consultants are accredited by the BPS, we work with organisations to help them interpret the report in the right way and advise on how to apply the results to their culture and specific role. Another personality tool that our clients like to use is Talent Q's Dimensions. This report presents personality in a different way; presenting an individual's preferences in how they build relationships, manage tasks and projects and how an individual is motivated and driven. Agile Leaders are more likely to be high on relaxed, resilience, and flexibility, they are likely to be higher on influencing and communicative. We work with our clients to help them review their roles and to recommend the best fit for an agile leader who would thrive in their organisation. Using psychometric tools to help identify and recruit talent while building an agile culture is one of our strengths and areas of expertise. We don't just talk the talk, we also like to take an Agile approach- so, please get in touch and we can help to find a bespoke solution to help your drive a leadership culture that thrives on pace of change. Please contact us at info@getfeedback.net or call us on 01491545524.